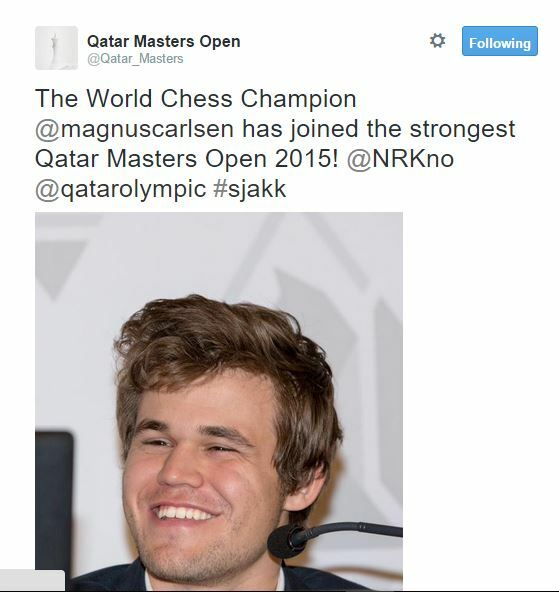 The World Chess Champion Magnus Carlsen will be playing at the Qatar Masters Open 2015. This news is hot off the press. Magnus Carlsen sure is one active World Chess Champion, maybe even the most active in chess active. No one can ever blame him for not doing enough to promote chess. 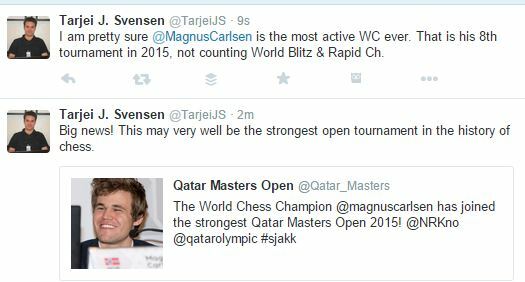 It would be very hard to disagree with Tarjei Svensen’s statement that Magnus Carlsen may be the most active World Champion. It seems Carlsen has been open to the idea of taking part in an open as can be shown in the tweet below from a trusted source when it comes to Carlsen.